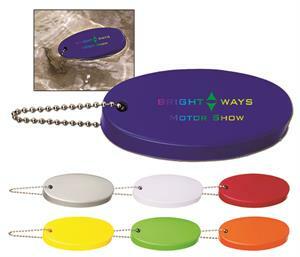 Floating foam stress reliever key chain with bead chain attachment. Great for pool, beach, boating or any water activity. Colors: Blue, Lime Green, Orange, Red, Silver, White or Yellow. Price includes one standard imprint color on one side. 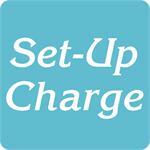 For logos: Add a set-up charge of $40.00 per color on new orders; $25.00 on re-orders. For Full-Color Imprint: Add 30¢ each plus $50.00 set-up.